Taking its name from a classic Santa Barbara-area surf break, the Patagonia Jalama Backpack separates wet gear without spoiling the rest of the bag’s contents, should you head to work or school after surfing all morning. Its waterproof main compartment holds your wetsuit (or trunks), booties, and towel, allowing you to go straight into school or work without skipping a beat. 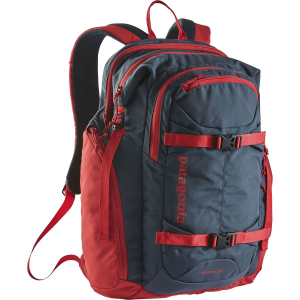 The designers at Patagonia reinforced the waterproof compartment’s polyester lining with a TPU coating and sealed seams to ensure complete separation between dry and wet contents. Making this bag versatile enough to tackle the daily rigors of school and work, its back compartment easily secures your textbooks, papers, and laptop (up to 17-inch). 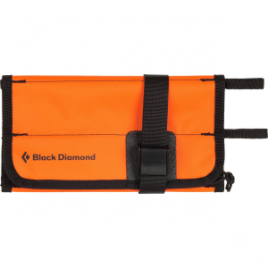 Plus, the laptop sleeve is slightly elevated to protect your precious computer, should you set this bag down on the concrete or hardwood floor. Additional pockets include a front accessory compartment with an internal lanyard for holding keys, a front stash for quickly tossing your phone or shades, and two side pockets for stashing water bottles. Throw in ventilated Air Flow mesh shoulder straps, an adjustable sternum strap, and a reinforced haul handle for easy carrying to and from your favorite break.